Built 1933. Named in honour of the Czech playwright, Josef Kajetán Tyl (1808-1856). 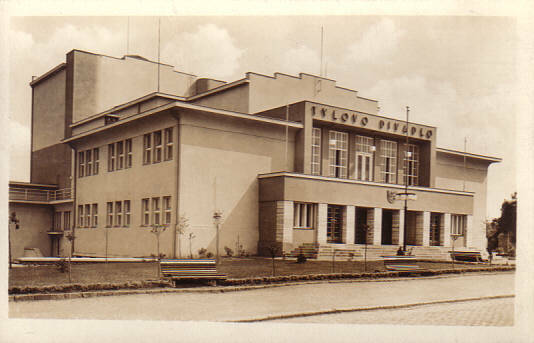 Front Text: inscription: "Tylovo Divadlo"
Reverse Text: "Kutná Hora, Tylovo divadlo"